Burgeoning through the surface of contemporary sound system music, the Kokopelli’s Flute EP is an ambitious and meticulous twist on melodious dialogue, and brings Milwaukee-based Deerskin deeper into his hypnotic approach to composition. Having developed a particular touch of psybient influence throughout his discography, Deerskin continues to expand on and reinvent his approach to combining constant rhythm with an atypical arrangement. Drawing inspiration from various cultural approaches to scale and mode, the EP is an exquisite production, and is equally impressive in its musical constitution. 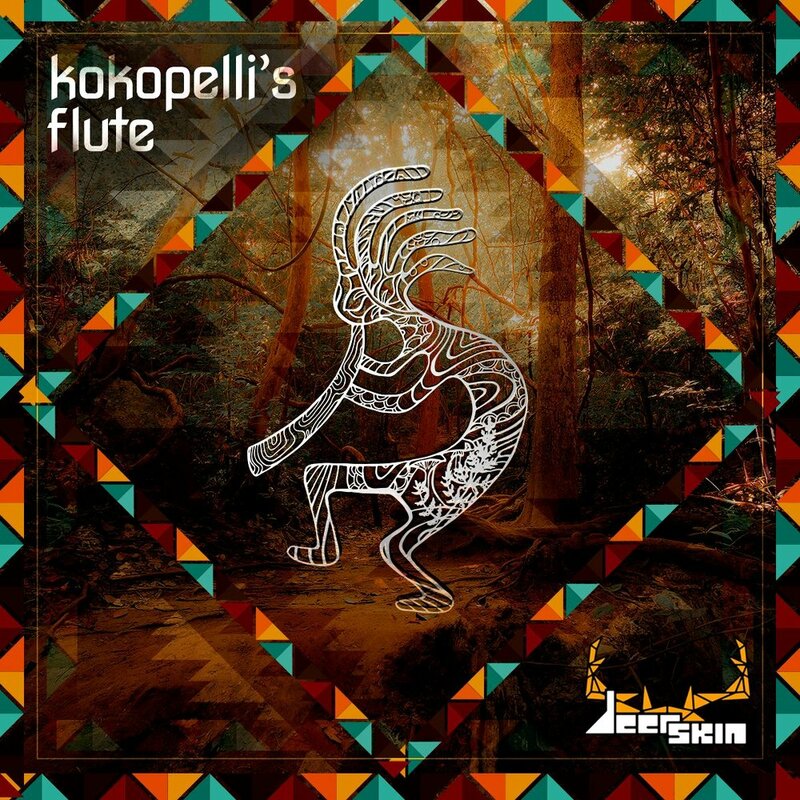 Kokopelli’s Flute is much more evolutionary than it is climactic, with each composition gradually revolving around rooted scales and musical tropes. As the seconds and minutes pass, synthetic textures take on new phenotypes and propel the arrangement into varying states of aggression. The choice of instrumental samples stays firmly put on reverberant strings, and dances along with the porous low-end in a complex interplay of dialogue. From start to finish, each track in the EP feels primed for one another, and together create a larger musical narrative that demands attention from the very first note to the very last. Tethering the vibe between the dark and the ethereal, Deerskin does not disappoint with yet another air-tight release to add to an already impressive catalog. Standing atop the current peak of his musical prowess, the road ahead for this surrealistic producer is poised for even deeper dives and psychedelic hypnosis.